This moment was a signal that America would be victorious and that we would make it through. Click here to see the video. We encourage you to pray for our nation especially today. Pray for the survivors, victims' families, kids who never knew their mom or dad, first-responders, etc. Their lives have been forever changed. They are being flooded with memories and painful emotions. And, if you know someone who was personally impacted by 09/11, reach out to them. Show them your support. Send a card or give em' a call. The point is, let them know that you care and that you are there for them. Let's unite together as Americans and pray for our country today. Take action to help the USA. 911 Prayer Event: How to Participate! Healing and Bright Hope for 9/11/11 and Beyond! Prayer remains powerful. God's hearing never changes.He still loves you and wants to hear from you today and every day! Today, we thank you for being a part of our 911 Prayer Team! We feel thankful to help unite the USA to pray. 1. Pray anytime, anywhere. Your location doesn't matter. Just talk to God from your heart. Confess your need for Him and ask Him to draw yourself close to Him. Here's a simple prayer to pray: "God, we thank You for America. We thank You for our troops, veterans, the first responders, and every hero from 9/11/01. We pray for families who lost loved ones. Please comfort them and help them sense Your loving presence. God, we open our hearts to You. We ask that You would reveal Yourself to every American. We pray for everyone who doesn't believe in prayer. Help us to follow You. Now, we pray for every American who still has flashbacks about 9/11. Please help them, too. Now, we pray for our leaders. Please lead them. We turn from evil and turn to You, God. We welcome You. In Your Name, Amen." 2. Watch and pray with Stacie Ruth by clicking here for a short video. Watch a simple yet meaningful video by Stacie Ruth in honor of 09/11. 3. Enjoy a brief article of hope. "Bright Hope for 9/11/11 and Beyond!" "All my co-workers were freaking out. They thought 9/11 was happening again. We were told to stay in the building. And somebody said, 'That's what they said to the WTC workers and they died!'" Clearly, 9/11/01 remains piercingly vivid on 9/11/11. In response, I told her about our 911 Prayer Event. And, like thousands of people who have responded positively to our 911 Prayer Team, she embraced the opportunity to pray. Today, 9/11 reminds us that evil exists. Yet God remains good and He loves you personally. No matter what you've done, it's not too late. God still loves you and extends His hand to you now. Take it. The largest denomination of Christians were banned from praying at the National Cathedral in D.C. and the 9/11 Memorial Service in NYC banned all religious leaders. Contrary to what anti-Christians say, true Christians love God and you. As Christians, my sister and I believe that God loves everyone and that this world needs a rescuer from evil and death. We saw both on 9/11/01. It's clear that this world is under an evil influence and in need of a complete spiritual makeover. We believe that's why Jesus came: God desires you to know Him on a personal level. He loves you more than you could ever dream! He doesn't want you to feel hopeless or beyond repair. "For God did not send his Son into the world to condemn the world, but in order that the world might be saved through him. Whoever believes in him is not condemned..." (John 3:17-18). Lots of rumors about Christians exist. To clarify and share our unshakeable hope with you, here's a synopsis: It's clear that this world is NOT perfect. Evil has invaded it. And we have all gone our own way. Yet God loves you and me. Even though this world ignores and rebells against following God, God sent His Son to bear the punishment for all our mistakes (sins). Then He conquered everything evil and death! In fact, "...God so loved the world, that he gave his only Son, that whoever believes in him should not perish but have eternal life." When we simply turn from ignoring and disobeying God and open our hearts to welcome and trust in Christ Jesus as our Savior and Lord, we have a 100% eternal lifetime guarantee in Heaven! Click here to learn more about our faith and how to know God on a personal, loving level. 9/11/01 included much evil. But we don't have to worry that evil will go unpunished. God is just. He never ignores evil. In fact, He said, "Vengeance is mine; I will repay." God's Word remains the final word. He'll make everything right in the end. We just need to be sure that we're right with God now. We don't know what could happen next. This moment might be your last moment to receive God's pardon and love by believing and receiving Jesus. Let's pray for our nation to be revived by God's Spirit and that people would embrace His love and truth. Let's be fountains of love and hope in this world. 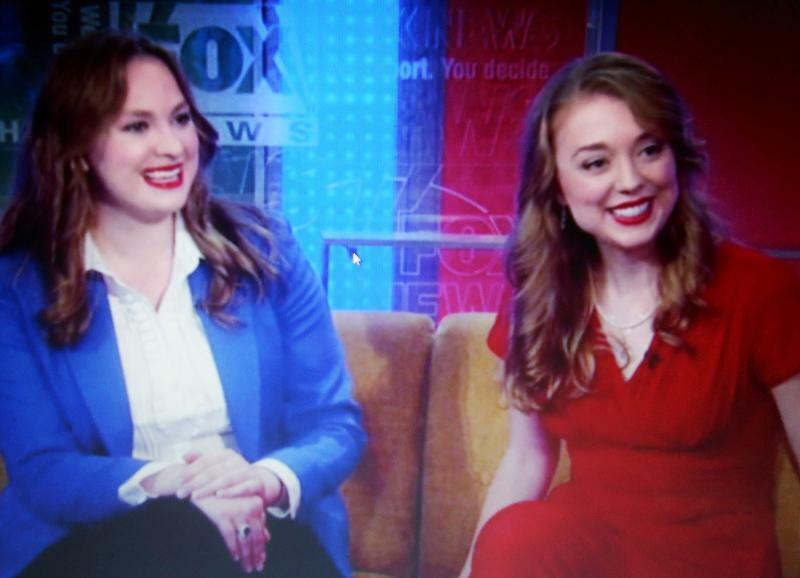 Carrie and Stacie shared on Fox News about their 911 Prayer Team. Click here to see the video! 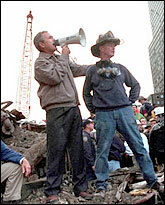 At a national service held shortly after 9/11/01, Rev. 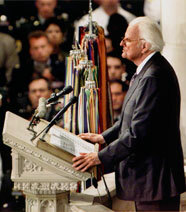 Billy Graham shared a message of comfort and hope. Read the transcript by clicking here. 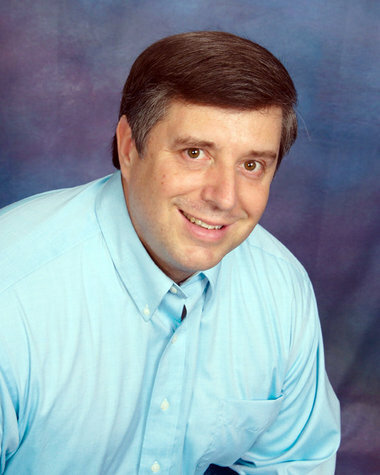 Carl's passion is to proclaim the authority and accuracy of the Bible and to engage the minds and hearts of believers and unbelievers in today's culture so that they may experience the realities of the Word of God. This happens whenever Carl speaks. Carl was a founding Board Member of Answers in Genesis for 10 years and served there for over 15 years before stepping out in faith to become President and Founder of Reasons for Hope. Now, click here to read Carl's thought-provoking, in-depth article: "Will You Remember Or Will You Forget?" Prior to the 911 Prayer Event's formation in response to Mayor Bloomberg's ban of prayer at the 9/11 Memorial Service, Stacie and Carrie's newest album was set to release on 9/11/11 to reach out to families, veterans, first responders, troops, and every American. 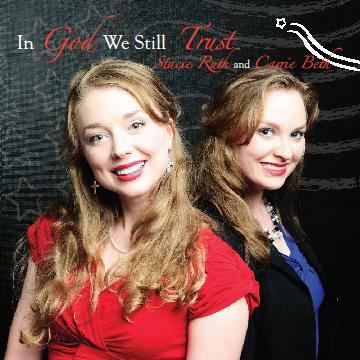 In God We Still Trust captures patriotism, faith, and freedom and enraptures audiences with soaring voices of passion. Stacie Ruth and Carrie Beth appear as new leaders of the post-9/11 generation. Their three octave ranges combined with their passion for Christ motivate audiences to move forward in faith! With powerful, heart-stirring songs, In God We Still Trust activates positive patriots of faith to hoist the torch of carrying God's brilliant truth to today's world. It will make you feel proud to be an American like never before! Click here to buy your copy!